The Florida Department of Transportation (FDOT) is conducting a traffic study that includes a temporary change in the schedule of openings of the Brickell Avenue Bridge. Depending on what the data reveal, the change could become permanent. 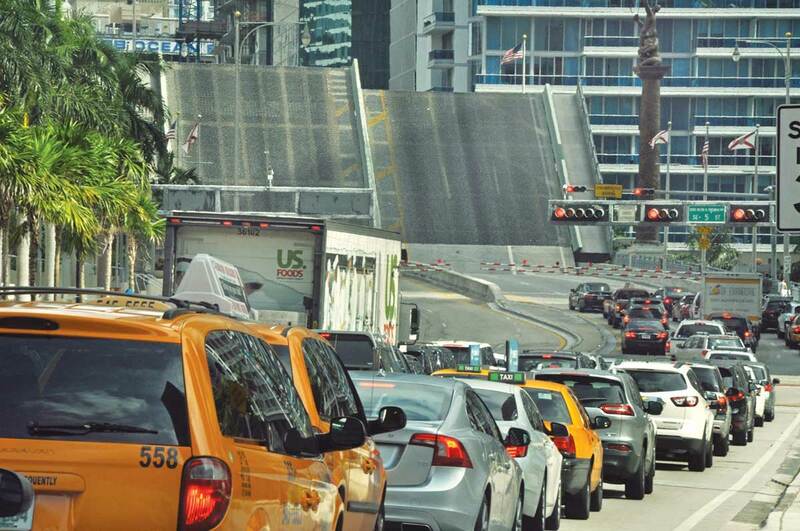 Stakeholders downtown and in Brickell have complained for years that excessive bridge openings paralyze the two areas. The project was approved Dec. 3 by the Coast Guard, which has jurisdiction over the Miami River and its bridges, and will run 180 days, including the time necessary to analyze the data. Prior to the schedule change, the bridge was supposed to be locked down to boat traffic (except for emergencies or vessels under tow), from 7:35 to 8:59 a.m.; from 12:05 to 12:59 p.m. and from 4:35 to 5:59 p.m. During all other times, the bridge is to open only on the hour and the half-hour, and then only in response to a vessel request. But skeptics said bridge tenders were opening the bridge on demand, and there were only barely legible handwritten logs to prove or disprove that. For the pilot project, FDOT had requested that the morning lockdown begin instead at 7:35 a.m. and that the evening lockdown run from 5:05 to 6:59 p.m., said Ivette Ruiz-Paz, FDOT communications specialist, via email. But the Coast Guard-approved schedule kept the morning and lunchtime lockdown hours the same, and changed the evening shutdown to between 5:05 p.m. and 6:29 p.m.
FDOT began collecting data Feb. 24; the altered schedule began March 17 and may continue through the end of the 180-day pilot program. For one week after the schedule changed, no data were collected to give drivers and boaters time to get used to the change. The study examines the effects that bridge opening have on vehicular, pedestrian, bicyclist, and marine traffic. Data are being collected using cameras and Bluetooth devices, Ms. Ruiz-Paz added. They include the number, time and duration of every bridge opening during the test period, the number of pedestrians and bicyclists, the waiting time pedestrians experienced during each opening, and the delays caused by pedestrians not abiding by the bridge opening warnings. Many stakeholders have said that pedestrians who ignore horns, bells and flashing lights to cross the bridge anyway have delayed bridge openings. They’ve asked for a guard gate to be installed, something FDOT is rumored to be considering. The study also measures “the amount of vehicular traffic on the northbound and southbound directions stopped by the bridge openings and the time it takes for vehicular traffic to return to normal flow after every bridge opening, as well as the number of boats and their waiting time for a bridge opening and the time it takes for the boats to cross the bridge during an opening,” Ms. Ruiz-Paz said.